We are very proud of Arkansas Northeastern College's reputation for both personal attention and excellence in teaching; however, we are especially proud of the individual achievements and successes of the thousands of students who comprise our history. We look forward to greeting you and visiting with you about Arkansas Northeastern College and how the College can help you to accomplish your goals. Students at ANC are as diversified as its locations. Some enroll for a single course, others complete a certificate or degree, and still others enter in just knowing that they are ready for growth. Many students extend their learning beyond the classroom through internships and service learning, as well as involvement in one of the many student organizations on campus. As a comprehensive, two-year institution of higher education, Arkansas Northeastern College offers a flexible schedule and courses at each of its locations in Blytheville, Leachville, and Osceola. Arkansas Northeastern College is a non-residential college, with a primary focus on learning. Classes are small and highly interactive. Classrooms are wired with the latest multimedia internet technology. At Arkansas Northeastern College, people can join others like themselves in creating the futures they want. ANC offers access to higher education and the opportunity to prepare for a variety of career fields. ANC graduates go on to become doctors and lawyers, business owners and industry managers. Technical certificates and job training programs provide relevant skills for entering the workplace with better earning potential - in one year or less, in many cases. ANC students train to become nurses while others pursue careers in steel industry, law enforcement or dental assisting technology. The list of opportunities is endless. ANC can provide training for career advancement or skills for a whole new career. Arkansas Northeastern College is a great place to start! ANC has the lowest tuition cost in the state of Arkansas. A student profile reveals that female students outnumber male students and account for over 70% of the enrollment. Minority enrollment is approximately 30%. Over 200 high school students each semester are taking classes on one of the ANC campuses. The average age of students at ANC is 28. Approximately 55% of the College's enrollment is full-time. Of current ANC students, approximately 30% are utilizing off-campus centers. Students living in the Missouri Bootheel account for approximately 15% of the College's enrollment. Arkansas Northeastern College is accredited by the Higher Learning Commission and a member of the North Central Association. The Nursing Programs (RN & LPN) at the College are approved by the Arkansas State Board of Nursing. ANC's Aviation Maintenance Program is approved by the Federal Aviation Administration and students are eligible to take the FAA certification examination for Airframe & Powerplant Mechanics. Arkansas Northeastern is officially approved by the U.S. Department of Education, the State Department of Higher Education, and the Veterans Administration. The Paramedic Program is accredited by the Commission on Accreditation of Allied Health Education Programs and the Dental Assisting Program is accredited by the Commission on Dental Accreditation. In addition, the College holds memberships in various professional organizations, including the American Association of Community Colleges, and is listed among the Service Members Opportunity Colleges. Students may request, from each respective division head, copies of all documents describing the institution's accreditation, approval, or licensing. 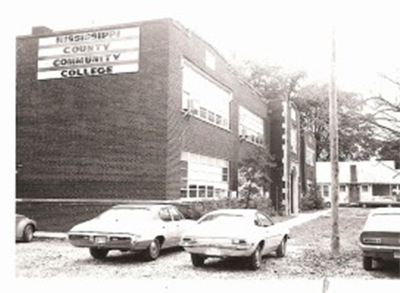 On December 17, 1974, the voters of Mississippi County approved the establishment of a community college district and the levying of a three mill tax to finance construction of the new campus. The State Board of Higher Education and the State Legislature had previously approved establishment of the institution. Governor Dale Bumpers appointed a nine member Board of Trustees who began a search for a President for the institution. Dr. Harry V. Smith, selected as the first President of the College, began service in February 1975, and served until October 1, 1983, when he was succeeded by Dr. John P. Sullins. An administrative team and faculty were assembled, and on August 25, 1975, classes began for the first time in renovated, temporary facilities located in the former Sudbury Elementary School at 200 South Lake Street in Blytheville. Approximately 800 students enrolled for credit the first term. Non-credit community service courses began with an additional 500 students in the spring term. In February 1976, the Board of Trustees purchased 80 acres of land for construction of the campus on South Highway 61. 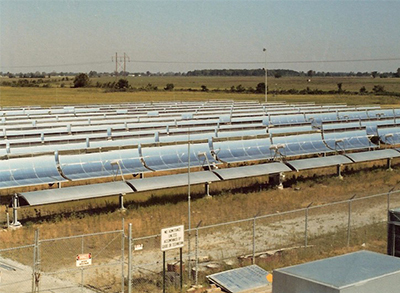 On April 29, 1977, United States Vice President Walter F. Mondale announced that the College had been awarded a $6.3 million federal grant to build the nation’s first solar photovoltaic prototype facility. An additional $500,000 was received and combined with the $6.3 million grant and a $2.5 million county bond issue. The campus on South Highway 61 was occupied in August of 1980. In May 1980, the College was notified that it had been accredited and had attained membership in the North Central Association of Colleges and Schools. Cotton Boll Technical Institute first opened its doors on November 14, 1966. At that time approximately fifty students enrolled. The school was housed in a single 26,462 square foot building surrounded by cotton fields off Interstate 55 at Burdette. With more than 60 years of history between them, Cotton Boll Technical Institute merged with Mississippi County Community College on July 1, 2003, to become Arkansas Northeastern College. This merger expanded the technical opportunities offered by the College as well as created the expansion of physical facilities. Today, ANC enrolls students at the main campus in Blytheville, as well as the Leachville Center and the Osceola Center. Additionally, hundreds of students are served each semester through the College's non-credit and adult education programs. Following the construction of the initial Main Campus building in 1980, the College later added the B and C Wings, the D Building which houses the Sunshine Grille and Sun Room, the Adams/Vines Library Building, Statehouse Hall, and the NIBCO Children's Care Center, the Briggs/Sebaugh Wellness Center, the Angela Wren Allied Health Center, and the College's newest facility, the ANC Center for Allied Technologies which moved the operations of the Harry L. Crisp Center, the Burdette Center, and the ACME Center to the Main Campus. Since its inception, five individuals have led the institution. Dr. Smith, the first president, left the College in 1983, and was succeeded by Dr. John P. Sullins who served in that capacity for 22 years. Dr. Robert Myers became the College's third president on January 1, 2005, and served until July 2012, at which time June Walters was named Interim President. 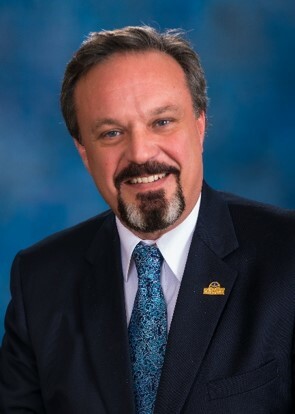 On January 1, 2013, Dr. James Shemwell assumed the position of President of Arkansas Northeastern College.